Two years ago, Declan J Donovan uploaded a home-recorded demo of a track called ‘Fallen So Young’ to his SoundCloud. At the time, he was blissfully unaware that this would be the initial springboard for his fledgling music career. Written originally to be the best man speech at his brother’s wedding, Declan wanted to give the song a life outside the confines of the wedding day. To his surprise, the song began to click with a few more people than he originally envisaged. With the original demo sitting at 2 million streams on SoundCloud/YouTube – released with no promotion or backing, it was clear that Declan was on the right path. Fast-forward 2 years, and now Harlow born 21-year-old Declan J Donovan lays all his cards of the table with his music. 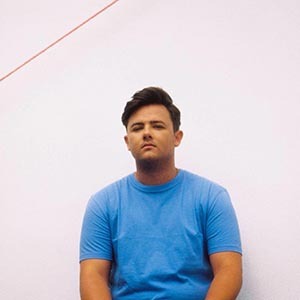 Declan’s 3 singles released to date have amassed over 20 million streams across streaming platforms. Not only is his music reacting particularly well on streaming platforms, but radio stations across Europe have quickly fallen for him. BBC Radio 1 added his second single ‘Better’ to the main playlist; both Los 40 in Spain and NRK P3 in Norway have had his singles on rotation for the past 6 months. Additionally, a whole host of tastemakers such as The Line Of Best Fit, EARMILK, The Independent, Mahogany have been eager to support right from the off. Having toured with the likes of Jake Bugg and Freya Ridings in 2017; with European tours in the diary for this Spring with Amy Shark and Rhys Lewis – the future looks very bright. Georgie is a female singer songwriter from Nottingham. She draws influences from Fleetwood Mac, Carole King, Janis Joplin, The Pretenders, Crosby Sills and Nash, Mamas and Papas, Carly Simon and First Aid Kit.